Monday, February 19, 2018, was the midpoint of 2018 Winter Olympics Games. These games would prove to be the US’s most disappointing Olympic Games in over twenty years, with the ordinarily dominant US registering a disappointing fourth in overall medals garnered. On that same date of February 19, 2018, with very little fanfare, the US achieved an economic triumph that was 45 years in the making and that should have significance for many years to come. On that date, the oil supertanker Shaden embarked from Louisiana laden with US crude, bound for Rizhao, China. Shaden: the Saudi supertanker carrying US oil to China. The US has been operating under a self-imposed ban on oil exports since 1973, when an OPEC oil embargo shook the US to its core, sending prices of heating oil, gasoline and diesel soaring. The OPEC embargo was enacted to punish the US for supporting Israel during the 1973 Arab-Israeli War (also known as The Yom Kippur War). The momentous voyage of the Shaden is not without irony. Shaden is owned by a Saudi Arabian firm. Saudi Arabia, the pre-eminent oil superpower in 1973, had been the leader of the OPEC embargo against the US. The voyage of the Shaden also reflects a dramatic change in relative oil producing stature between the US, Saudi Arabia and the rest of the OPEC nations. In 2018, U.S. oil production is expected to surpass that of Saudi Arabia. According to the International Energy Association (the ‘IEA’), a Paris-based energy think tank, the US should produce roughly 10.4 million barrels of oil per day in 2018. Meanwhile, Saudi Arabia is expected to produce less than 10 million barrels per day. 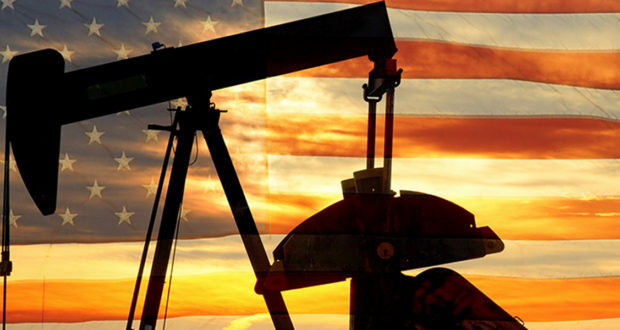 The US output in 2018 will be a domestic record, topping the high of 10 million barrels per day set in 1970, and will make the US second only to Russia in oil production. The US’s stature as an energy producer should only get stronger from here. The U.S. has plentiful reserves of “tight” oil—primarily brittle rock formations such as shale—that was unprofitable to extract until the hydraulic fracturing of rock and related technologies took the oil and gas world by storm in the last decade. The shale boom has given rise to oil fields in unlikely places such as North Dakota and Ohio. However, it has also given dramatic new and improved life for wide swaths of long-standing oil fields, such as those in both East and West Texas. For instance, ExxonMobil recently announced that they would be investing approximately $30 billion in its US-based oil production operations. Much of this investment is earmarked for the shale-rich Permian Basin in West Texas and New Mexico. The Permian Basin has been selectively drilled since the 1930s. But new technology has now put this field front and center with the country’s biggest oil company. The U.S. deficit in crude oil and refined products has shriveled to four million barrels a day last year from 12 million in 2007. The IEA predicts the U.S. will become a small net exporter of oil by 2029. However, the US should become a net exporter of energy in just four years if all sources of energy (e.g., natural gas, liquified natural gas, coal, etc.) are considered. In fact, BP PLC’s latest world energy outlook predicts the U.S. will account for 18% of world oil and related liquids output in a little over two decades, well ahead of second-place Saudi Arabia at 13%. The US’s change in status as an oil producer has dramatic and far-reaching consequences. Up until the recent past, a spike in oil prices was a negative event for the US economically. Given the widespread calamity of 2008, it is easy to forget that rising oil prices were a gut punch to an already staggering economy. One of the early campaign slogans of Presidential candidate John McCain was ‘Drill Baby Drill’ and his choice of Sarah Palin as running mate was in no small part influenced by her status as Governor of Alaska, an oil-producing state with considerable untapped resources. Today, however, rising oil prices are marginally positive for the overall US economy. Higher oil prices generally increase domestic oil production activity and this increased activity has a corresponding economic multiplier effect, as workers, machinery, and providers of logistics services are kept busy. On the other hand, falling oil prices are now a net negative event for the overall US economy. According to The Wall St. Journal, collapsing energy activity and investment wiped a full percentage point off US economic growth in 2015 and nearly half a point in 2016. Then as oil prices recovered in 2017, energy investment and activity contributed approximately 0.6 points to last year’s 2.5% growth. Because the overall US economy now moves with (as opposed to against) the price of oil, the cyclical movements in oil prices will be less painful and disruptive than they have been in the past. When prices fall, gasoline, diesel, and heating oil are cheap, benefiting many in the economy and relatively quickly creating demand for more fuel. When prices rise, the now large and hearty domestic oil industry benefits, pulling much of the nation ahead along with it. The Shaden itself is a dramatic example of the multiplier effect of America’s new oil riches. The US actually lifted its self-imposed restrictions on exporting oil in 2015. However, infrastructure issues have hindered exports. The export of oil and natural gas naturally entails pipelines, trucking, port activity and shipping activity. As oil and gas exports grow, those aspect of the domestic energy industry will grow and mature along with them.